The 2015 Georgia Educational Technology Conference is set to take place from November 4 through November 6 at the Georgia International Convention Center in College Park. The conference has been at the Georgia International Convention Center since 2005 when Vivki Rogers took over leadership of the event. The Georgia Educational Technology Conference (GaETC) is an annual event sponsored by the Georgia Educational Technology Consortium, Inc. GaETC is dedicated to the professional development of educators and has played a key part om helping educators at all levels of the system increase their understanding of technology and how it can help with education. 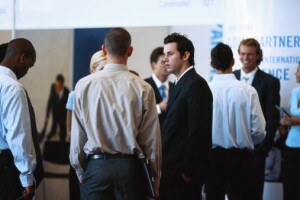 The conference itself provides educators the opportunity to learn about the latest trends in educational technology and offers a place where professionals and educators can discuss topics and ideas and figure out what’s working and what’s not. GaETC offers nearly 250 concurrent sessions, nationally known speakers and presenters, workshops focusing on the latest in technological innovations and software, and over 200 commercial exhibits featuring stat-of-the-art technology. There are three different Concurrent Session Types at GaETC: Concurrent, Smackdown and Trending Tech Topics (T3). 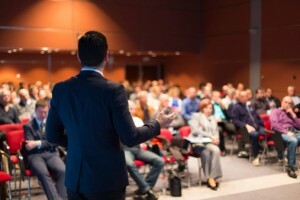 Concurrent sessions are formal, one-hour presentations in lecture or demonstration format given to a seated audience. Smackdown is a unique experience that has participants sharing something “techie” that they find valuable in the educational technology market. But be quick as you only have two minutes to speak your piece! Finally, T3 is an informal session that will provide you with an opportunity to gather around people with similar interests and share ideas and resources centering on a current technology trend. Attendees at the Leadership Strand will hear about emerging technology trends, witness how other districts are implementing 21st Century Leading and Learning initiatives, receive the latest information on using technology to create effective learning environments, receive the updated data on 21st Century Assessments, review bandwidth implementation requirements to ensure precise information and network with peers and the private sector. The Student Showcase is an informal, all-day demonstration in an open-house, science fair format that features students actively engaged in classroom projects and activities. The students will use tools and resources to address the Common Core Georgia Performance Standards in exciting and innovative ways. If you are interested in technology in the education system then the Georgia Educational Technology Conference is where you need to be. This year’s event promises to be bigger and better than last year’s and is one of the premiere events for the combination of education and technology! GaETC will be from November 4 through November 6 at the Georgia International Convention Center. You can find out more information about everything the event has to offer, as well as register, at GaETC’s website. 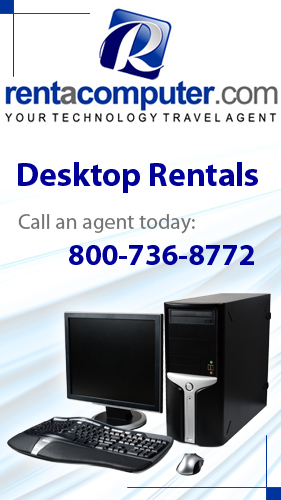 *For more information on technology rentals in Atlanta visit our Atlanta Computer / Audio Visual / And Office Equipment Rental Page! This entry was posted in Convention Center Events, Convention Centers, Convention News, Event Technology and tagged Atlanta, Atlanta Georgia, education, educational technology, GaETC, GaETC 2015, Georgia, Georgia Educational Technology Conference, Georgia International Convention Center, technology. Bookmark the permalink.